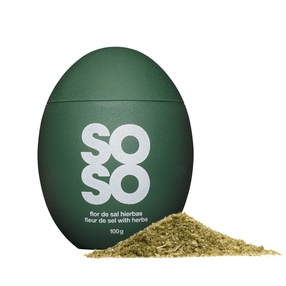 The Fleur de Sel with Herbs has a Mediterranean flavour with a bounty of herbs such as basil, marjoram, oregano, rosemary, sage and thyme. Fresh and revitalising tasting, it is well matched with grilled meats, vegetables and roasts, on pasta dishes, or try sprinkling over goats cheese drizzled with extra virgin olive oil. The egg shaped container stores the salt and is also used as the salt cellar which is excellent for reducing packaging waste. 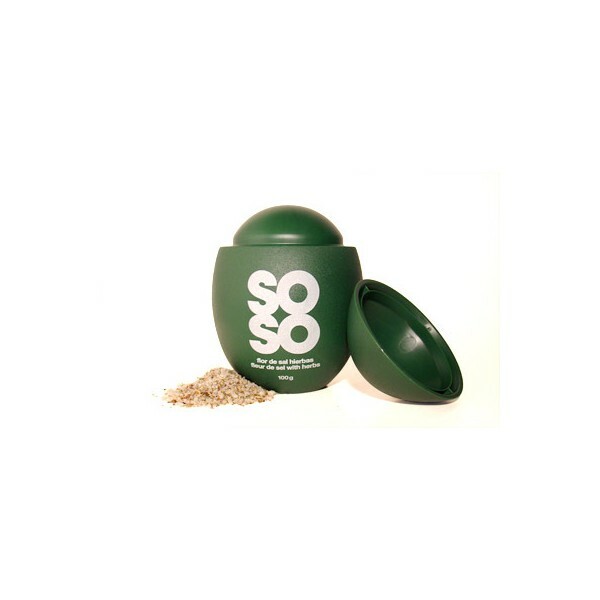 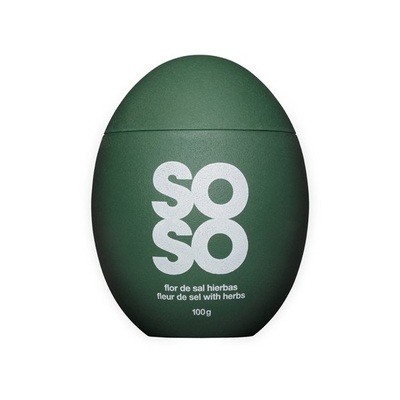 SOSO is a high quality brand of salts, from a salt mine located in in the Natural Park of San Pedro, in the south of Spain. The harvest is realised in summer by handmade manipulation and with traditional techniques. 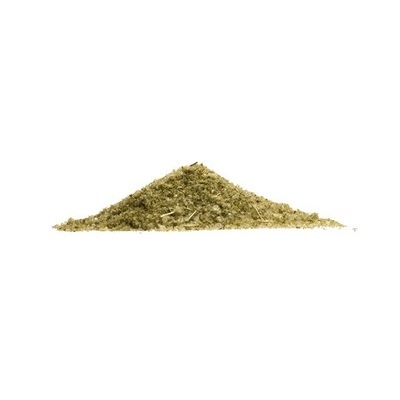 The most part of the condiments come from biological agriculture.